For those who appreciate craftsmanship. Made in USA. This was a gift, and I didn't actually see the turning hook, so I can't comment on it. I can, however, comment on the transaction with this shop, which was very pleasant. They were very helpful and shipped the item quickly. Thank you so much! Getting ready to heat treat. Sparks Flying! Just another day in the life of a Jace. Melly reppin RKW @ trade show. Photo Shoot Day. Got caught standing around. 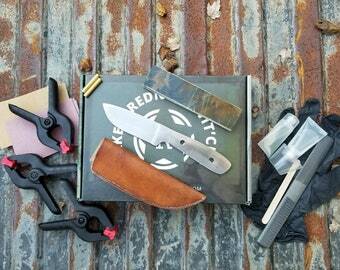 Redneck Knife Works is the culmination of legacy, experience, providence, and good old fashioned stick-to-itiveness. While our name suggests a bit of a wild country edge, it is also an honest assessment of the everyday working man’s ability to put in a day’s work and make quality products that last for ages. With 40+ years as an outdoorsman, our founder puts special emphasis on the function and durability of the blades he designs. By respecting the time-honored traditions and imparting the best of modern techniques, our blades are ready to accompany you on your next adventure. 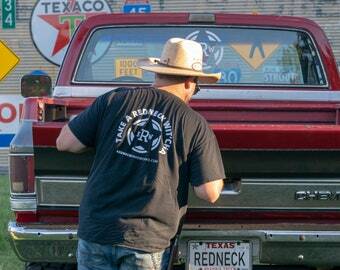 Born in Louisiana and raised in Texas Jimmy has a unique legacy of craftsmanship that shows in all his creations. 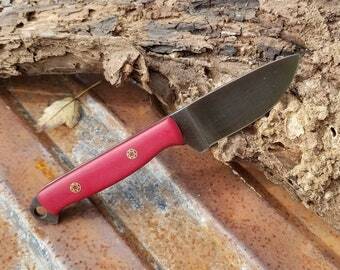 His Tex-Mex Cajun style and 25+ years of experience is evident in every hand crafted blade. Melinda is the inspiration for the classic approach to the things we design. Her background is in art, graphic design, and publishing. She has a great eye for color and symmetry and brings a fresh look to our designs. Jace - aka "Baby Bull"
Drawing from his gaming and military interest Jace makes each build a little more"next gen" in attitude. We look forward to seeing what he has to offer the blade world in the months and years to come. Either way it ought to be interesting! Gigi - aka "Tha Monkey"
Gigi is our most enthusiastic team member. Taking from her interest in theatrical sword fighting and fencing, she loves to help in the shop. She wants to build swords, and has already drawn up her own designs. C.J. - aka - "Chucky Joe"
C.J. brings design inspiration from his interest in historical weaponry as well as fantasy blades. His interesting approach and vision will someday bring great blades to life.